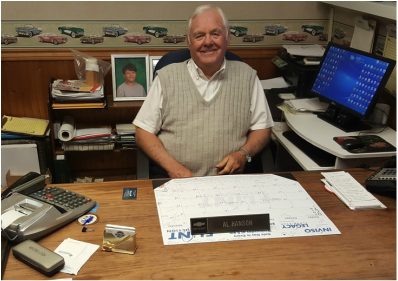 Al Hanson has been in car sales since 1952, and Al Hanson Motors Inc. has been a local business since 1992. Al still runs the business just like in the olden days and guarantees every vehicle he sells. We would like to thank all of our customers in the past 20 years for making our business successful, and we are always welcoming new customers. About Al Hanson Motors, INC.
​Al Hanson Motors would like to be the home of your next used car purchase. If you have questions about any of the vehicles listed, please contact us. Though we try to get new vehicles posted online as quickly as possible, our inventory changes daily, and we may have vehicles in-store that are not listed online. If you do not see the year, make, or color of the vehicle you're looking for, please call or e-mail us. We may have it in stock, but if not, we'll try to locate that vehicle for you. We examine every car with a 101 point inspection. That means inch by inch and inside and out to make sure it's in tip-top working condition! Al Hansons is all about the customer. We go the extra mile to see that you have the best possible vehicle purchasing experience. We love to build relationships with our customers. If you can't find a car on our lot, we will work with you to find the car you want. Al Hanson has been working in car sales for over 60 years and has maintained "Al Hanson Motors" for close to 25 years. Al Hanson is excited to meet you! With over 60 years of experience, this is not his first rodeo. Why go elsewhere when this is his passion and his life. Stop by soon and be ready to make a friend.